You can’t stop people from expressing themselves, no matter how oppressive the government control. “F Grass” is a clear demonstration of that, with Ai Weiwei getting his message out to the world despite his continued physical detainment in a country that seems so eager to shut him up. The Vancouver Biennale invites Vancouver’s Instagram community to join our first Biennale Instameeet on Saturday, April 11 at F Grass. This event is co-hosted by @missyjena and @miss604. Come celebrate art in public space and join us in using the power of Instagram to express your passion for photography and storytelling, connect with new people and embrace freedom of expression. 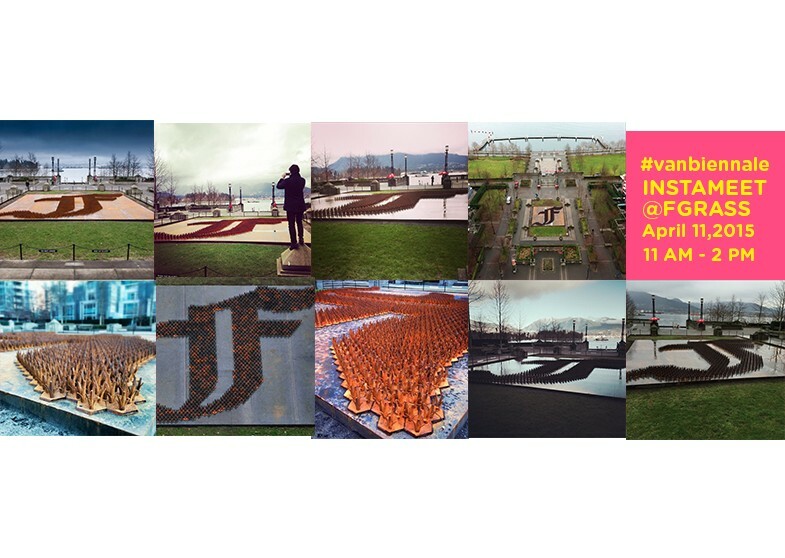 The photos taken at the instameet, posted to instagram and tagged with #VanBiennale will be shared on the Biennale’s social media channels. The Instagramer with the most popular photo will win free tickets to the Ai Weiwei’s film retrospective plus a special Vancouver Biennale package!